We’ve all waited until the last minute to write that big essay for school, or frantically scribbled down responses to homework questions five minutes before class starts. In school writing is a chore, an assignment crumpled at the bottom of a backpack. But where would we be without writing? Society is built on writing from legal jargon to messages to friends to books, magazines, and movie scripts. Writing is essential to success. That’s the mission of Write the World, “an online based creative writing platform for teens ages 13-18.” Write the World works to improve the writing of high school students by developing the expression of students’ unique voice, teaching editing skills, and facilitating the publishing of students’ works. Whether you’re an aspiring poet, a science writer, novelist, sports journalist, or green activist, there is a place for you with Write the World. On the Write the World website you can find an extensive and ever-changing library of prompts to develop your skills, refine your voice, explore diverse styles, and develop your personal portfolio. If you’re a competitive type, looking for a challenge, or want professional feedback on your work, you can enter a competition. As a member of the Write the World community, you interact with other like-minded teens through peer reviews and writing groups dedicated to a specific genre of writing. Right now, you can enter the Album Review competition. 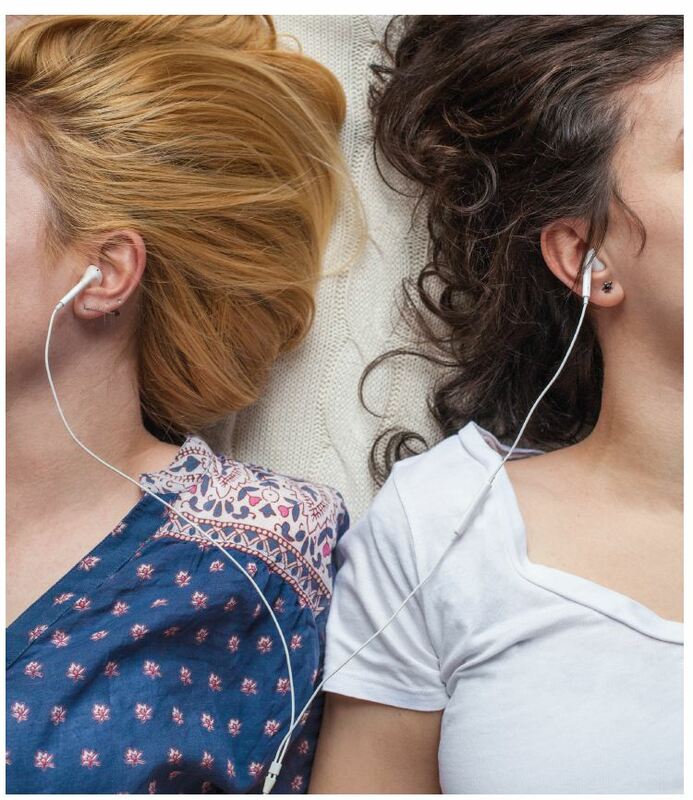 Maybe you play music, or maybe you’re constantly plugged in to your iPod. Either way, this competition is a unique opportunity to explore a writing genre that you would never encounter in school. What’s that album that you’ve been listening to non-stop for the past week? Who’s that artist who takes you to another place? Write a review of your favorite album, then submit it for professional review. Who knows? You may even discover your hidden talent for music journalism! The winning entrant will receive $100, and the runner-up and best peer-reviewer will receive $50. Final Submissions Due: Tuesday, April 14. Check out this website for entry details. This entry was posted in Contest, Music, Teen Powered, Writing and tagged bysplteens, Contest, music reviews, write the world, writing contest on April 4, 2015 by Shannon. Seattle’s 2015 MLK Unity Day! Here’s a half-hour video featuring the MLK Youth Contest Winners that the City of Seattle sponsored in January as part of the City’s first-ever Unity Day. It includes additional footage/interviews with the winners! This entry was posted in Activism, Community, Contest, Seattle, Watch This! and tagged essays, MLK Day, Seattle, video on March 19, 2015 by Rae. The Washington State Library and the Collaborative Summer Library Program (CSLP) have launched the 2015 Teen Video Challenge, a national video competition for teens to get involved with reading and their public library’s summer reading program. Teens are invited to create a 30 to 90 second video with their unique interpretation of the 2015 teen slogan “Unmask” in combination with reading and libraries. The idea is to involve teens in summer reading, before and during the summer months, by being part of the process. This is an opportunity for teens to showcase their creativity and have their ideas heard before a national audience. The winning video will be named one of the CSLP 2015 Teen Videos to promote summer reading nationwide. $150 will be awarded to the creators of the winning state video and their associated public library will receive prizes worth at least $50 from CSLP and Demco/Upstart. Winners will be announced by CSLP in April 2015. Want to see the 2012 winner, representing Tacoma Public Library? Teeler won $150 – why not you? This entry was posted in Community, Contest, Libraries, Summer Reading Program and tagged Contest, summer reading, video on December 30, 2014 by wbubelis. Who is your local hero? 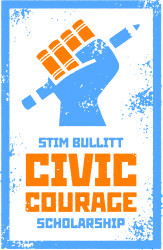 The Seattle Public Library Foundation is pleased to announce the Stimson Bullitt Civic Courage Scholarship Competition. High school seniors and undergraduate students who live, work or attend school in Seattle are invited to participate. The competition asks students to write an essay about an individual or group of individuals from Washington state who have demonstrated civic courage on an issue of importance to the community at great personal, political or professional risk. Essays must be submitted online between January 1 – March 31, 2015. Winners will be announced in May 2015. Winning essays will be added to the collection in the Hugh and Jane Ferguson Seattle Room at The Seattle Public Library and will be given directly to the participant’s school on their behalf. Research assistance is available from librarians at The Seattle Public Library at all 27 library locations. This entry was posted in Activism, College Prep, Community, Contest, Free Stuff, School News, Writing and tagged Contest, Scholarships, Writing on December 23, 2014 by wbubelis. HS Seniors in the Seattle area: Want to apply for a last dollar* scholarship to college? Come work one-on-one with Gates Scholars and Alumni as well as the Scholarship Junkies team to work on and complete your GMS application, no matter if you are just starting or finishing your application. We strongly encourage you save any files via Dropbox or email your files to yourself. Apply for the 2014-15 Gates Millennium Scholars (GMS) scholarship program, awarded annually to 1,000 high school seniors nationwide for their academic achievement, community service, and leadership potential. For more, visit www.gmsp.org and read our #1 GMS blog with tips, suggestions, and sample essays on the GMS. *If you don’t know what this means, send us a note and ask! This entry was posted in College Prep, Contest, Events, Free Stuff, School News and tagged free, Scholarships on December 9, 2014 by wbubelis. We want your Divergent fan-creations! Hey Divergent fans! Thanks for the great response to last week’s trivia question. You guys rocked it. We have another exciting opportunity for you to win either: passes to the advanced showing on March 18th (in theaters on March 21st) or an amazing prize pack of Divergent swag. Here’s what you do: send us your best Divergent fan-creation. Art, short fiction, video, and so on. Anything that you’ve made (and are willing for us to share on the blog) to show your Divergent love (while keeping it PG-13, lol). Simply e-mail your work to us and you’ll be entered to win! Plus, we’ll make you blog-famous when we share them here. Winners will be notified by e-mail. Any questions? Put it in the Comments or e-mail us. Good luck! This entry was posted in Community, Contest, Free Stuff, Read This!, Watch This! and tagged Contest, Divergent, Seattle on March 10, 2014 by pushtotalkteens.